The mind is a powerful entity, so strong that it will protect us in even the most scarring moments of life. When our body is incapable of physically escaping, our mind will utilize another defense mechanism in order to protect us. 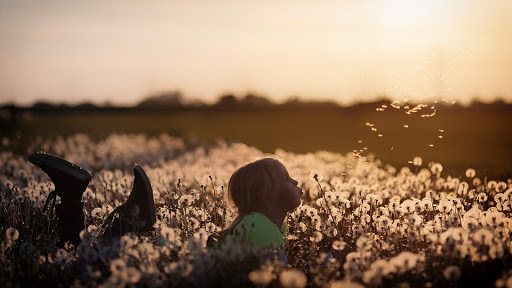 This new form of protection is similar to a dandelion spreading its seeds on a windy day; While experiencing pain, in reality, the mind is able to drift to somewhere we are liberated. Is this real life? Is this a dream? “Dissociation is a defense mechanism that involves disruptions in consciousness” (Current Neurology and Neuroscience Reports.). A dissociative disorder typically emerges after experiencing an event that is too jarring for the mind to cope with. Instead of processing the trauma, the mind slips into a dissociative state in order to shield the person from a painful experience. For example, depersonalization is a form of dissociation where someone feels as if they are an observer outside of their own body. This protects someone because they feel as if there is a screen between themselves and reality. Typically, people who have experienced depersonalization will explain feeling detached from their own emotions and other people. Dissociative Identity Disorder is the most misunderstood dissociative disorder. The popular movie “Split” further encourages the misconception of this disorder. Instead of portraying someone who has experienced trauma, they show someone who is violent, and not in control of their own actions (Busting the Myths about Dissociative Identity Disorder). However, a more accurate description of DID is offered in “The Flock” by Joan Frances Casey, which details the experiences of an individual who overcame their challenges and gained strength. Joan, the narrator is portrayed as an image of success to the outside world. She juggles a job, law school, and manages to please her families unrealistic standards. Joan was able to achieve so much success without even being aware she was a victim of childhood abuse. This is because at a young age Joan learned how to protect her own peace of mind with a defense mechanism where she created different personalities in order to protect Joan from her abusive environment. These personalities protected Joan by keeping her away from memories where she felt threatened. For example, one personality called Missy was created solely to cope with the trauma; She had little confidence and often struggled to find her own voice. Once Missy was able to tell her story and to feel validated, she was able to make contributions to help the rest of Joan’s personality face with the abuse she experienced. Another significant personality was called “Rusty”. Rusty, a male was created to protect her from her father who would express sexual interest in her. Joan creates Rusty in order to protect her own innocence and to find solace during abuse. By dissociating, she is able to temporarily escape and protect her own peace of mind. Dissociative Identity Disorder, in reality, is not like its portrayals in media. Instead, it is the mind’s normal reaction to an unbearable situation. One who experiences trauma should never be shamed for the way their mind adapts. Instead, their extraordinary resilience should be acknowledged. Joan is an example of somebody who was brainwashed to believe that it was her duty to please others, no matter the cost. The pressure of pleasing everyone, along with abuse from family members resulted in the creation of her multiple personalities. However, by voicing her own needs and accepting help from loved ones, she was able to let go of her past and find strength. Peisley, Tanya. “Busting the Myths about Dissociative Identity Disorder.” SANE Australia, 29 Mar. 2018. Casey, Joan Frances., and Lynn Wilson. The Flock. Abacus, 1993.